If you didn't have a chance to get yourself or someone the custom bullet jewelry you wanted now is the time to order and have it ready to give on Valentines Day. I thank all my customers for the custom orders they placed, it was a successful and very busy holiday season. 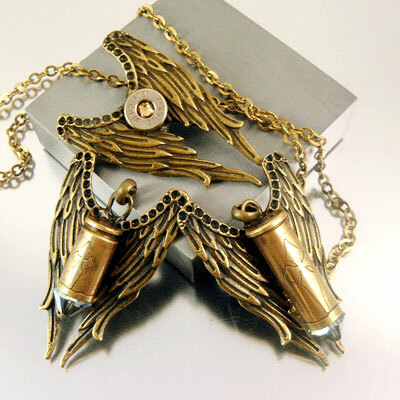 I love designing bullet jewelry exclusively for you. 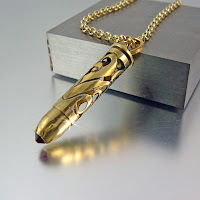 I have many new designs of bullet pendants and necklaces which have been posted to the site. You'll find something special for the one you love and yourself. If you don't I may be able to design it for you. 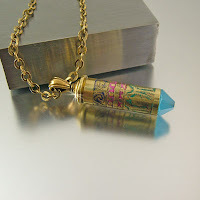 In June 2011 I introduced a new, original and never before seen .50 caliber bullet pendant necklaces. Since then the design has been a sensation. So what’s next? June 2012 is around the corner and I have something special to introduce again. 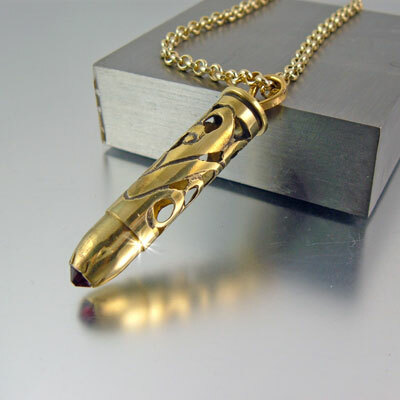 It’s a newly designed, never seen before; yes you’ve guessed it… .50 caliber bullet pendant. The design is fresh, innovated, truly custom, one of a kind and the possibilities for you the customer are endless only left to your imagination. All designs are individually free hand drawn then hand carved onto the bullet. I have several designs I’m introducing and have in mind but, I’m asking my customers for their ideas. Military, sayings or logos, tribal, tattoos, initials, whatever you can think of or means something to you or someone special can become your personal one of a kind bullet pendant. 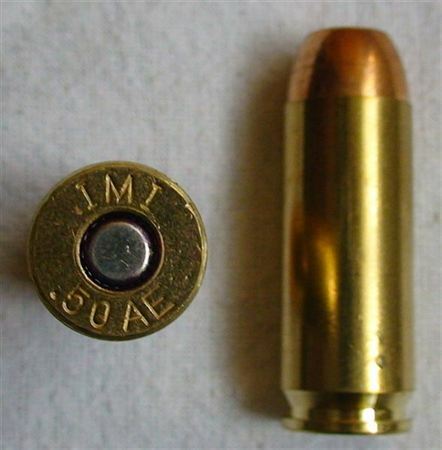 The .50 caliber is known as the bad boy, the gun club special, the ma deuce. It takes someone special to wear a 50. Imagine having a .50 caliber bullet pendant which says “Semper Fi”, Navy, Army, or a fallen friends name, a place, a time, a memory….have I got your imagination working yet? Let’s make your idea real, let me design it just for you. Each design is an original; priceless, no one else in the world will own one just like yours; how proud can you be to own something so special so personal, so you. Come back the 1st week of June 2012 or email me so I can notify you when these original, never seen in the world before .50 caliber bullets become available. Is Your Bullet Jewelry Safe? The image to your left happens to be a live bullet left in someones mail box. Not surprising to me is the fact the person who found it wanted to make a pendant out of it; this reminded me of some recent disturbing news. 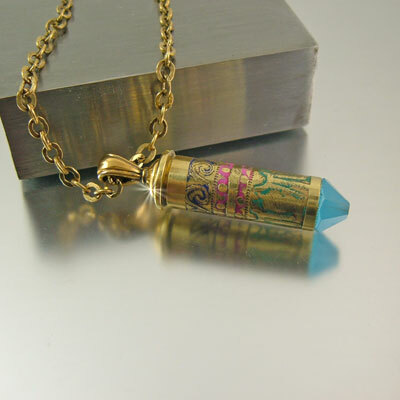 In April 2012 a high school student in Westford MA was arrested because he claimed a bullet pendant he had lost. 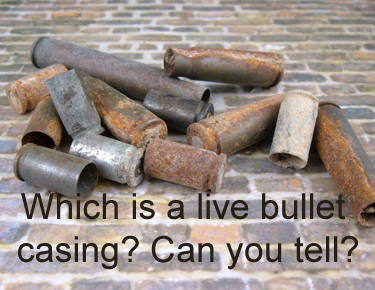 The police said it may be a "potential" live bullet. Oh please, a police officer should be able to tell if a bullet is live or has been recycled into a jewelry pendant. Apparently they said the bullet pendant still had what the police referred to as a "firing pin" in it. "Firing pin"; exactly what did they mean by a firing pin? In modern terms a firing pin is considered part of the hammer; a part of a handgun or rifle, which is drawn back then striking forward onto the primer in the bullet. The primer contains enough gun powder to ignite causing an internal explosion thrusting the bullet head into the barrel from the casing towards the intended object. Unfortunately the student who lost his bullet pendant and when it was found came forward to claim it, was arrested and charged with alleged illegal possession of ammunition. The student purchased the bullet pendant 2 years prior at a flea market thinking it was safe to wear. Don't buy bullet jewelry from someone you don't know or trust. Ask questions, do some research, know what you're getting. Don't have a friend or yourself think you can make safe bullet jewelry by watching a YouTube video. If you don't shoot or own a fire arm and know nothing about bullets, then don't attempt making anything on your own. Buy a piece of bullet jewelry from someone who knows what they are doing, be safe, don't take the chance...don't be stupid, its not worth it. 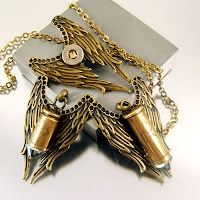 I'm a shooter, I'm trained, I own firearms, I recycle bullet casings and know what I'm doing with bullets and I've been making bullet jewelry before it became popular. 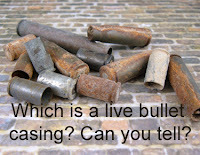 I won't hesitate answering any questions you have about my experience with bullets and safety issues. Make sure you know what you're getting and from who...don't end up arrested like the studen at Westford MA because he didn't know.